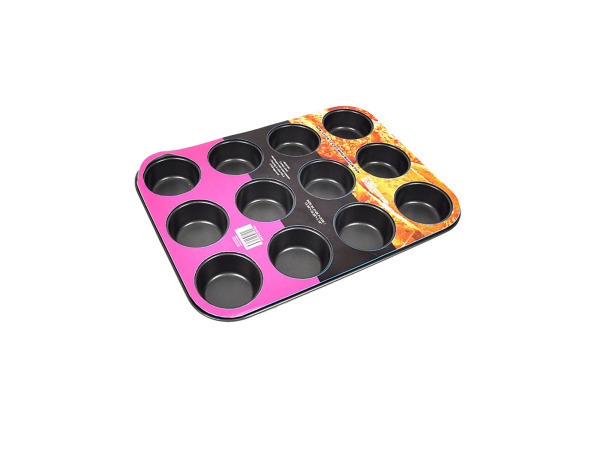 Ideal for making cupcakes or muffins, this 12-cup Muffin Bake Pan is made from durable metal with a non-stick coating, making it easy to clean up. Each muffin cup is approximately 1.25" deep. 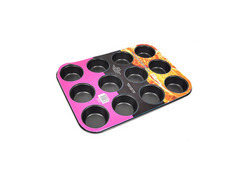 Pan measures approximately 13 3/4" x 10 1/2". Comes carded.